Do you want to experience miracles in and around your own life? Watch Kenneth Copeland on the Believer’s Voice of Victory as he shares the importance of having enough faith to stand in the gap through the power of travailing. Learn to use your faith to travail for others—your children, your friends, your state and nation. Then, you will begin to see things happen in your own life you could never imagine! What you do with your faith is up to you! Watch Kenneth Copeland on the Believer’s Voice of Victory as he uncovers how the answer to every problem is putting faith to work. Learn how to believe the Word, speak the Word, and then act on the Word to get results. Simply believing in the power of God isn’t enough to take victory! 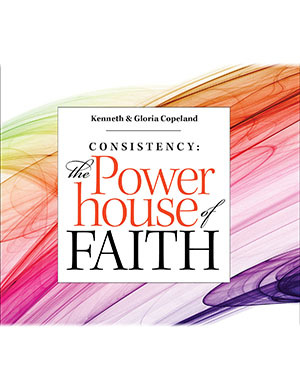 Watch Kenneth Copeland on Believer’s Voice of Victory as he shares how faith without corresponding action won’t bring results. Learn how to watch your words to guard your faith. Faith speaks the Word only! Did you know your problems can hear you? Watch Kenneth Copeland on Believer’s Voice of Victory share how faith-filled words dominated the laws of sin and death and make you free! Learn how that same power is available to you through your words today. Watch Kenneth Copeland on Believer’s Voice of Victory explain why you should never attempt to get what you need with baseless faith. Learn the importance of finding the Word on which to base your faith, and then acting on it. Don’t just be a hearer of the Word—act on your faith for results!